Marketing should lay at the core of your business, at the heart of your product and be a building block of your service delivery. 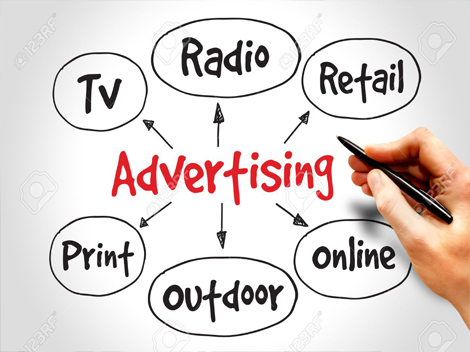 Nowadays with an emerging media power, the capability of advertising is endless. You are open to accept any from of advertising you think will be best for your business. The Social Media phenomenon has been growing on daily basis and is expanding the very moment you are reading this article – so don’t lose time no more. Your business can be the best of all businesses in the world and you might be offering the top-quality service with a unique approach, but what good of it will be if you will not be telling about it to others? The reports of The BIG Data companies can allow you to effectively focus your marketing and promotional material better if you are operating on a large scale, for instance, you are running a retail business with a specific type of product – for you, there are companies who collect data from internet users (oh yes, all those Privacy Notices we agree to when using an app or registering for a newspaper delivery are essentially enabling the data on user to be collected and stored “securely” until someone gets hold of it) and the analysis of this data will guide you towards the right target groups which are most likely to become your customers or clients. So when you will be planning on your marketing strategy instead of “feeling the bottom of the lake with a long stick” you will have an “electronic scanner and topographical map” in your hands. I am, personally, for my own businesses use more convenient means of advertising. I am a strong believer in “Guerilla Marketing”. This means – getting the most good and purpose out of marketing when operating on the budget. Consumers are increasingly growing spolied with the vast choice and availability and ensuring that you are noticed, talked about or at least heard of – can be tricky. Many companies chose to invest up-to 40% of their total budget on advertising strategies and buying themselves “gold spots” in the league charts, front pages and live feeds. Where majority actually play smart about it and chose to target their adverts, macromanaging the audience and the times. You don’t have to spend thousands of pounds (or whatever your currency is) to get noticed or become popular. You can seriously promote your business by investing a fraction of the funds available to you. You pay for convenience, where you don’t pay – you can still achieve the same result, but it will take a longer time and will require in-depth management, so the choice is yours. All is down to your aims and the nature of your business. One of my businesses is a convenience store. There is no point of me going on the radio or entering the national media to get myself noticed as the likelyhood of me attracting customers living further then 15 miles away – is close to nill. I am however using the good old source of “word of mouth” and engage with local communities, clubs, groups, trusts, schools, retirement homes and helping them out with their events organising. That way I can place an occasional order through them and ensure that the talk about the store is spreading across the area of where my shop is and the 10 miles radius. Being in the field for many years I have found that the mixed bag of: Social Media advertising, personal communication and printed material – do the trick. You can reach audiences of thousands within hours and ensure that you involve the right people into the talk. You can attract your prime customers/clients to discuss your product, you can ensure they leave feedback, you can encourage them to share your service our and eventually, naturally, if you are good and if you are liked – they will subconciously spread the word about you and eventually your marketing budget can shrink but your popularity will grow. Think of Big Names. My generation (1990s+) has been growing up in the era of brands. Brands populated the world and nowadays simply ripping the fruits of their labour without breaking sweat. We all know Coca-Сola, Snickers, Mars, Pepsi, DrPepper, Nike, and the like. These names and their logos are rooted so deeply in our consciousness that each one of us will recognise the logo of Nike even without it saying “Nike sport” underneath it. You might not be in position to become like that, as it takes years of building up and capitalising on your own audience. Also, as I have mentioned above, the consumers are hugely spoiled with the variety of companies doing virtually the same thing – that they don’t have to like you no more. If they are unhappy about the tone of shirts you are manufacturing – they will find an alternative just with few clicks. But you can still market your goods and services our and, please, please, please – DO IT SMART. Chose your target audience, think of the best way to approach them. But if you are a legal group, offering Legal Advice, Power of Attorney, Will writing and Estate Planning service – you are more likely to win over your clients with quality printed material delivered in a formal, authentic look directly to the potential clientele. Marketing is a huge field and requries relevant udnerstanding and expertise, and I am not intending to pose myself as a marketing guru – because guess what…..I AM NOT. But I will be making a series of articles on WHY – HOW – WHEN – WHO – ETC and try to cover as much relevant information and advice to you as possible to ensure that you are armed with BASICS of advertising and marketing and wil lbe able to spend little and gain a lot.